Which other type of telescope can be used to create a beautiful image with so little effort? With Omegon astrographs this is easier than with 'ordinary' telescopes. Why? The answer is obvious - because an aperture ratio of f/4 means a big light output and consequently shorter exposure times. Immerse yourself in the world of deep sky photography. Admire faint galaxies or details in hydrogen nebulae. 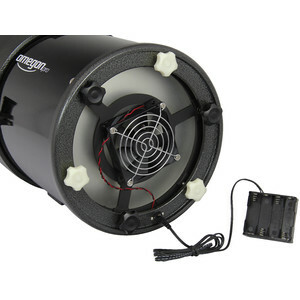 The Omegon astrograph sets a new benchmark for your astronomy photos. Astrographs are suitable for visual observing, but only show their full potential when used for astrophotography. 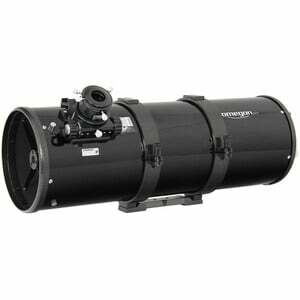 Their f/4 aperture means they are among the 'fastest' Newtonian telescopes around, allowing you to take shorter exposure images. The secondary mirror and the parabolic BK7 main mirror are 94% reflective, providing brighter and higher contrast images. One can see a visible improvement when compared to a 'normal' mirror which is around 88% reflective. 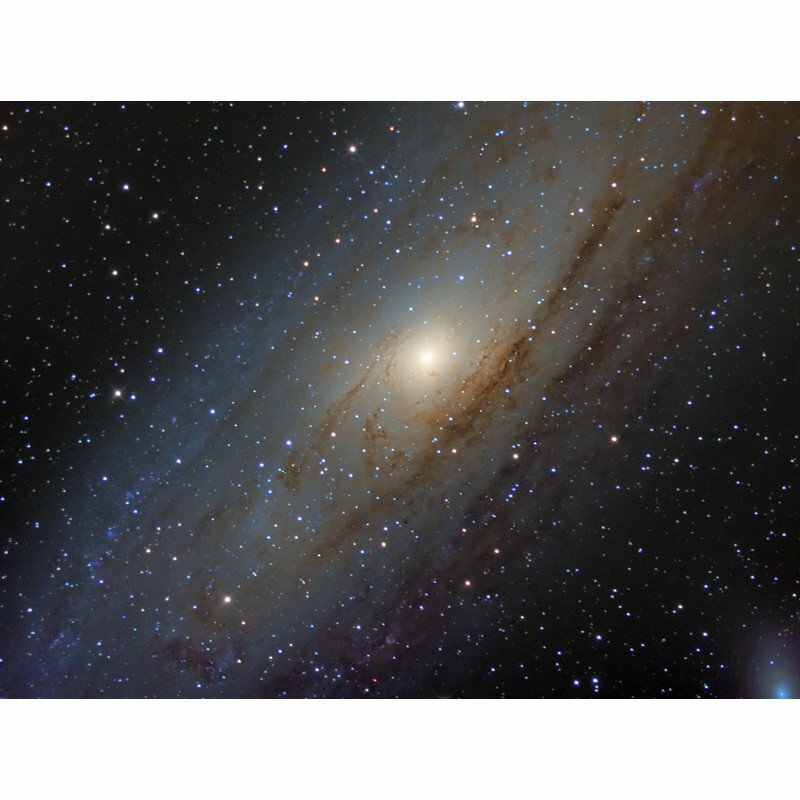 Attach your DSLR camera or a modern CCD camera to the telescope and enjoy impressive illumination over a wide field of view. No shadowing is noticeable thanks to the particularly large secondary mirror (see also below). Observing with 2" wide-field eyepieces is now perfect. 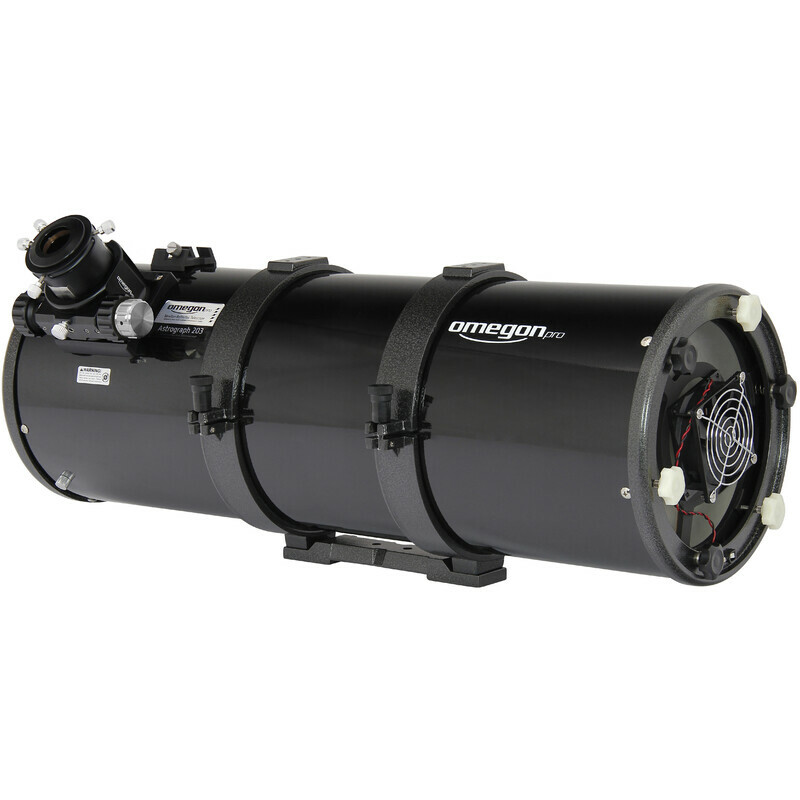 The particularly short OTA length and focal length means the telescope is compact - the astrograph is about 20% shorter as compared to an f/5 system. This means you can also use this OTA's excellent optics on a medium mount, saving yourself the expense and clumsiness of a heavier mount. 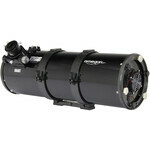 Another advantage is that the astrograph is perfect for extended deep sky objects thanks to its shorter focal length. This system is also more tolerant of small tracking errors than a telescope with a longer focal length. 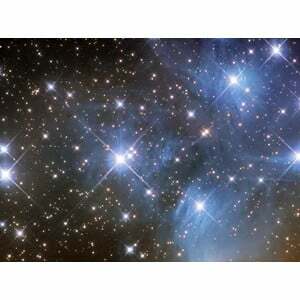 You will achieve some astounding astrophotography with even just a little effort. 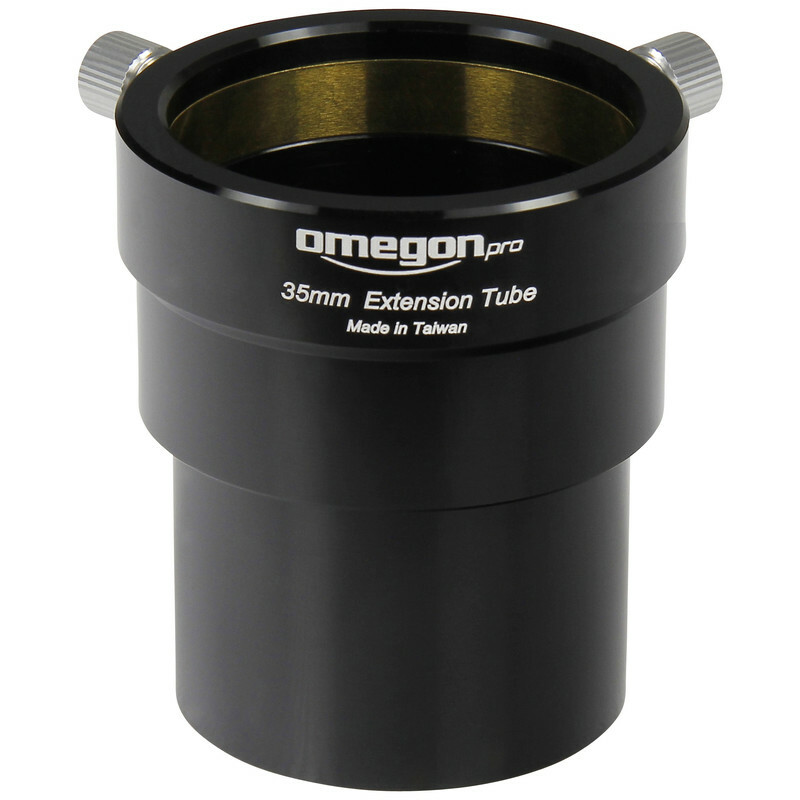 The Omegon V-Power focuser provides precision focusing for all astronomical objects. The 1:10 reduction, sturdy ball-bearings and guide rail make the focuser stable and easy-to-use. 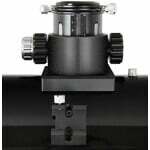 Its optimized design means the focuser can safely carry cameras weighing up to 5 kilograms without any slipping. The compact Omegon f/4 astrograph is excellent for using short exposures to produce impressive wide-field astronomy photos.